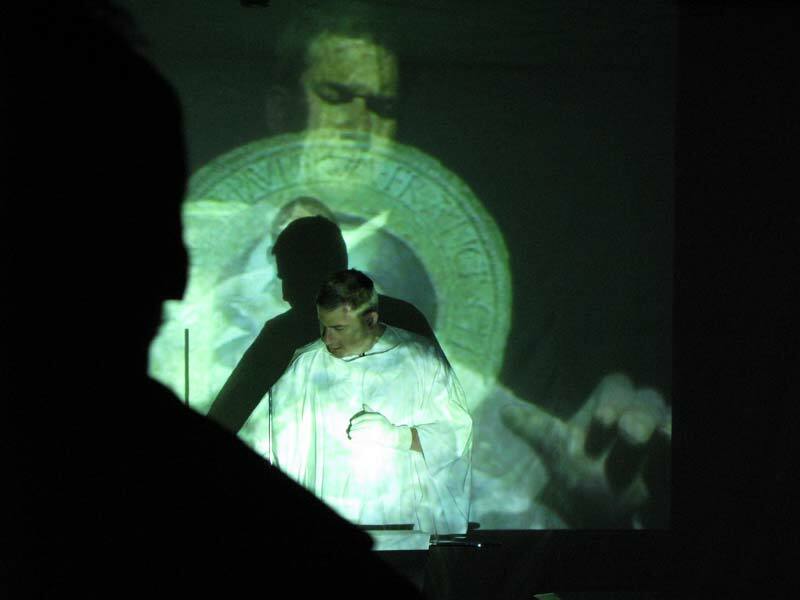 St. Frank and the Wolf is a series of solo, improvisational multimedia performances that explore the irreducible aspects of faith. 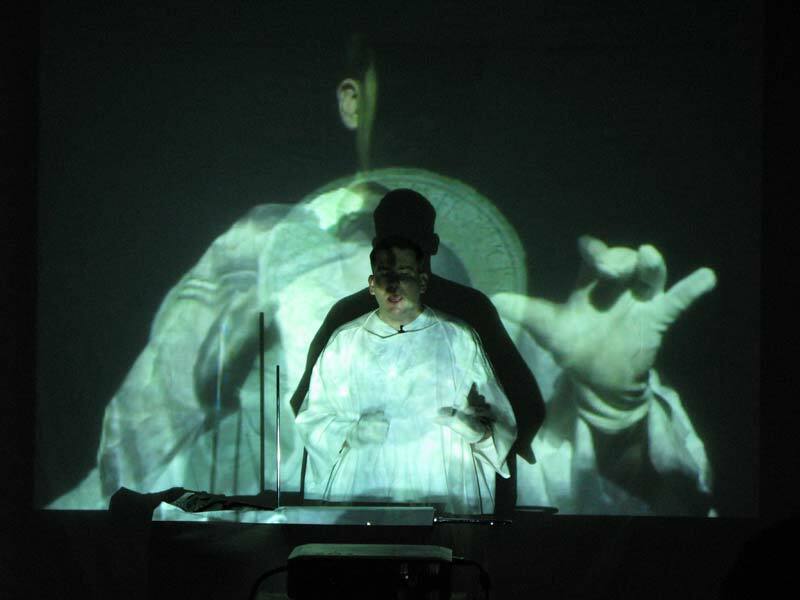 Abstractly based on the story of St. Francis making peace with a wild wolf, these performances dialogue with sound and light in order to saturate time and space with the presence of God. 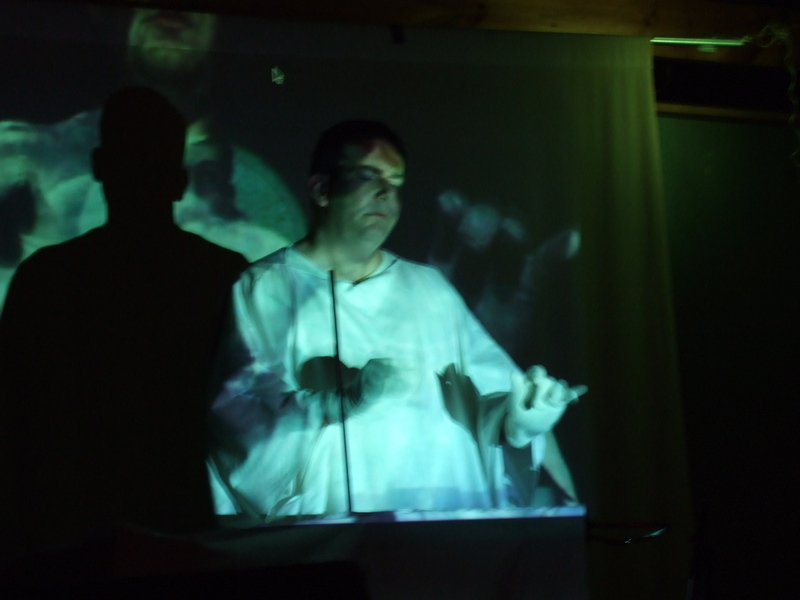 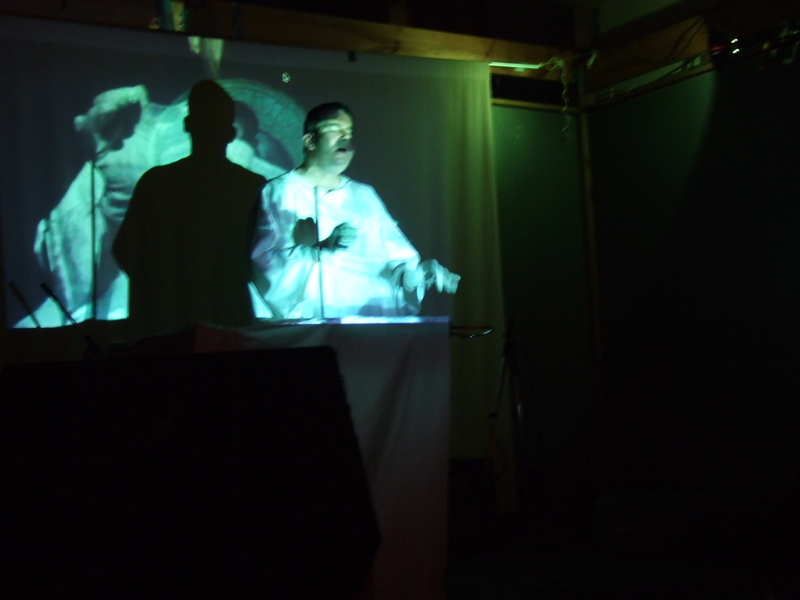 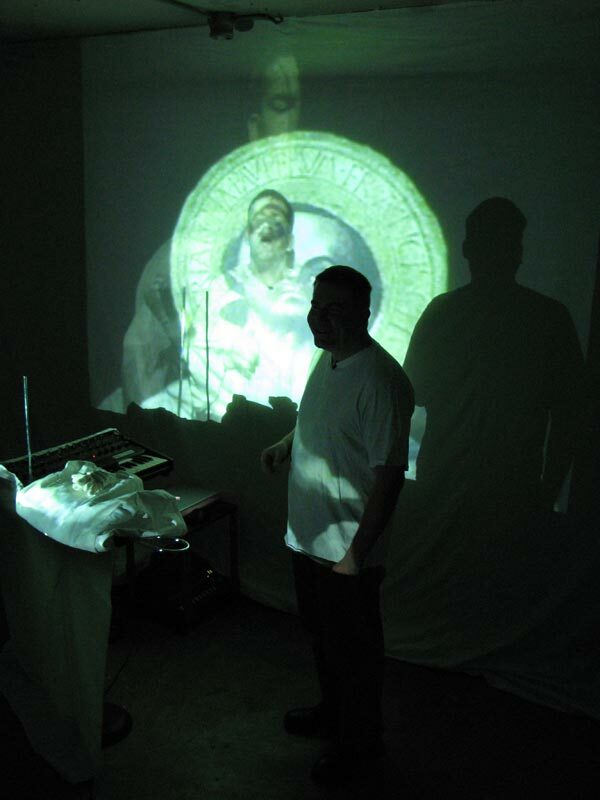 The performances consists of two separate audio/video loops projected onto the artist who uses a theremin, an analog synthesizer, and voice to mix between these two loops. 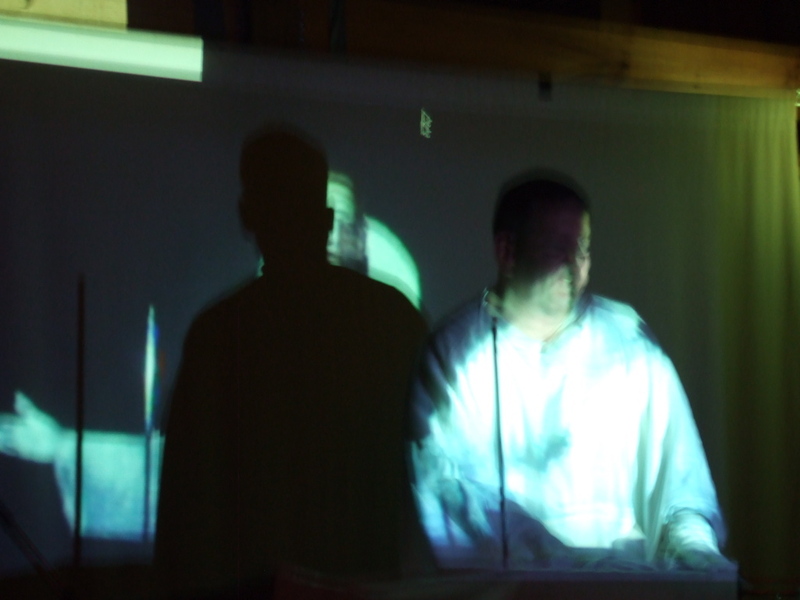 The results blur the distinction between real/virtual, live/pre-recorded, and matter/spirit. 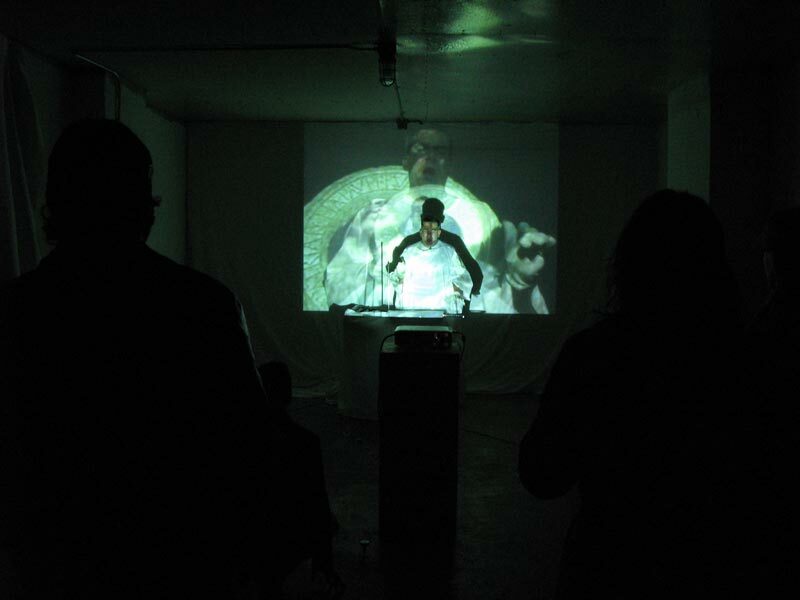 Between performances, the audio/video loops continue running, effectively remixing themselves, functioning as a kind of generative installation intermission.